As clinicians, we have come to be able to provide a variety of soft-tissue therapies on patients. In recent years with the “boom” of Myofascial Decompression, clinicians have many options to provide the best techniques to patients. Soft-tissue therapies can be used in a variety of settings with the use of only a few items or the hands alone. This makes for versatile techniques that can be used on the road, on the sideline, or in the clinical setting. But, how do we decide which technique to use, and when? First, it is best to understand the objectives of the technique and pair it with the goals of the patient. IASTM is offered in the common forms of Graston Technique, FAT-Tool, and ASTYM. In recent years, clinicians have had access to affordable instruments and tools such as Adhesion Breakers and Ellipse Tools. With the release of these affordable instruments and tools, it is no longer mandatory to take a course to be able to provide IASTM. Many undergraduate and graduate athletic training education programs are incorporating instruction of various IASTM techniques eliminating the need to take a separate specific course. IASTM is a great technique to have in your tool box because it allows clinicians to use it for a variety of injuries during many parts of the healing process. Graston Technique states it “enables clinicians to effectively and efficiently address soft tissue lesions and fascial restrictions. . .”. IASTM is a great way to target a specific area or a larger area of the body. Clinicians commonly use IASTM to increase extensibility of muscles and ROM of joints, increase blood flow, increase inflammation to promote healing, and decrease scar tissue. With the wide range of uses for IASTM, we can use it no matter what phase of the rehabilitation process we are in. For example, IASTM can be used for an ACL reconstruction on the scar once it is fully closed to decrease scar tissue while promoting healthy inflammation on a possible patellar tendon autograft. From there, it can be used to help increase muscle extensibility and patellofemoral joint ROM. Throughout the ACL reconstruction rehabilitation process and after, it is used to help maintain ROM gains and decrease muscle tightness. IASTM can be used with the patient in a stationary position or with movement. For example, if a clinician is treating a patellar tendon, IASTM can be used with the patient in a position of knee flexion of about 45-90 degrees. Another option would be to have the patient going through knee flexion/extension at the end of a table, or doing body weight squats to about 90 degrees. Personally, I will perform IASTM on a patient in a static position if he or she has not had IASTM as a treatment before. Once he or she becomes comfortable (and depending on the activity level and ability of the patient) I will perform IASTM with active ranges of motion. Other options of patient position for IASTM include putting the patient into an assisted stretch position to target deeper tissue, increase muscle extensibility, or if the patient has more adipose tissue. After an IASTM treatment, it is recommended to have the patient perform some light stretching followed by therapeutic exercises. This allows for neuro-muscular reeducation and long-term tissue adaptations. Graston Technique offers research on their website that supports it’s efficacy, case studies, and more. I highly recommend clinicians of any level or experience to take the M1 course of Graston Technique. I often see clinicians using IASTM improperly. The course also go over common indications and contraindications, patient positioning, which instrument to use when, plus more. Graston Technique instruments are the gold standard for IASTM instruments since they offer courses and have been instructing clinicians since the 1990’s. I own the AB6 Multi Instrument from Adhesion Breakers to use at The ATR. It is a versatile instrument that is a fraction of the cost of Graston Technique and produces the same outcomes. Myofascial decompression is what people often refer to as “cupping”. While some health care providers take offense to the term “cupping”, this is what the public commonly knows it as. MFD gained public popularity during the 2016 Summer Olympics when swimmer Michael Phelps was seen with the dark circular markings. While clinicians and the public are able to purchase MFD kits online, it is recommended to take a course. Myofascial Decompression offers courses around the nation and some courses include a MFD set. The instructors with Myofascial Decompression have been using the technique for years in the collegiate, professional, and clinical settings. MFD has many similar goals as IASTM including targeting fascial restrictions and adhesions, increasing blood flow, increasing muscle extensibility and joint ROM, and decrease pain. I have had many athletes and clients use MFD for recovery purposes. Many state MFD cuts their recovery time in half and allows them to optimize their performance in between and during competitions. I often describe using MFD for recovery to athletes by stating “it gets the gunk out from deep in your tissues and flushes them back through your body, allowing new blood and fluid into the tissue”. By targeting these fascial restrictions, it allows neuro-muscular reeducation which will then help correct muscular dysfunctions and joint imbalances. A MFD course is highly recommended to properly use the technique. I found that I was using the technique improperly in some cases prior to taking the course. A course can help identify patterns to use with the cups for target areas, duration of treatment, movement patterns with the technique, supporting research, and indications/contraindications. Like IASTM, the patient can be stationary or go through active ROM. Often times, I will have the patient mimic a common movement in his or her sport or activities. When a patient is stationary, I will often use IASTM in between and around the cups. After MFD, I will follow it up with IASTM or soft-tissue massage. This is to help “flush” the stagnant blood and “gunk” out of the area and, it just feels good. I believe it is important to follow MFD by therapeutic exercises because it helps teach the body proper joint movements after targeting the fascial adhesions. Exercises following the technique are also beneficial to help “retrain” the muscles and joint following the treatment. This is a good time to focus on muscle firing and movement patterns. Patients often ask me how often they can have MFD performed on them in a week. My response is always based on the patient’s goals and activities. For example, I may perform the technique on a marathon runner more often than a baseball pitcher. However, it is key to remember MFD may induce more inflammation than other techniques (based on my personal and clinical observations), so other techniques may be considered in between MFD sessions. Myofascial Decompression has products for sale on their website. These kits hold up really well. They also offer curved cups which are very useful or many areas of the body. Soft-tissue and muscle releases are another great technique to target fascial adhesions, increase muscle extensibility and joint ROM, and aid in correcting muscle dysfunctions. Unlike IASTM and MFD, I do not believe a course or certification is mandatory in performing the technique. It is overall very straight-forward with less indications/contraindications. I often use soft-tissue and muscle releases as part of a stretching regimen, in between soft-tissue therapy treatments, or if a patient is not comfortable with IASTM or MFD. To aid your self-learning, “Soft Tissue Release” by Jane Johnson is a great book that goes over the upper and lower extremities. Soft-tissue release can be compared to self-myofascial release (SMR) in a passive, self-assisted, and assisted method. Self-assisted soft-tissue releases are self-myofascial release with the help of foam rollers, lacrosse, tennis, golf balls, etc. 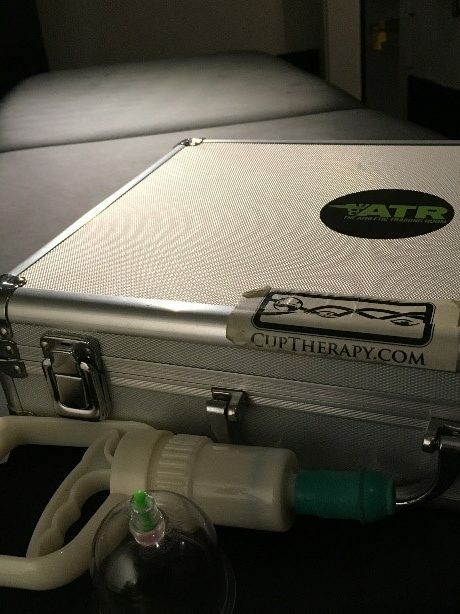 Passive and assisted soft-tissue releases are the same exact concept as SMR, but with the help of a clinician. The goal is to decrease pain, increase muscle extensibility, and increase joint ROM. I often times use soft-tissue releases in between IASTM and MFD treatments with stretching regimens. I have found that patients state they feel “looser” when using soft-tissue releases with stretching, rather than stretching alone. When patients ask me what soft-tissue releases are, I explain to them how it is another form of stretching. As stated above, I use soft-tissue releases with stretching regimens in between IASTM and MFD treatments, along with following those treatments. Soft-tissue releases are another form of stretching, making it a versatile technique using either only a few items or with the hands alone. “Soft Tissue Release” by Jane Johnson highlights research that suggests soft-tissue releases are not recommended directly prior to activities. The research states that soft-tissue releases negatively effects muscle power and strength. However, I have found many patients who prefer soft-tissue releases just prior to activities and during activities. Overall, I have not found a time when I would not perform soft-tissue releases except for when it is not advised or the goal is not to lengthen the targeted muscle. Before almost any treatment or rehabilitation, I have patients perform SMR to prepare for the session. I will use passive soft-tissue releases if a patient is hesitant to perform active movement or lacks full active ROM. At times, the patient will prefer passive or active over the other. Patient feedback is key to soft-tissue releases along with IASTM and MFD. IASTM, MFD, and soft-tissue releases can all be used in almost any phase of the rehabilitation process. These techniques can be easily used with the clinician’s hands, few items, and in a variety of settings. Each technique can be used to increase muscle extensibility and joint ROM. IASTM and MFD are often used in the healing process and to break up scar tissue. Soft-tissue releases are great in between IASTM and MFD treatments or on a daily basis. IASTM, MFD, and soft-tissue releases can all be used together or separately. Think about what the goal is and what soft-tissue therapies can obtain those goals. When cost is a consideration, IASTM is now a reasonable option with various IASTM brands out there. MFD is also a cost-efficient technique and can even be purchased online and on Amazon. All can be easily used in the clinical setting or when traveling and in environments where modalities and equipment are not readily available. Like anything else, they are all great techniques to add to your repertoire.